Born in 1868 Chrestus Jorgensen was the first member of the family Jorgensen, economic activity was registered. Initially, he was a skilled carpenter, and in 1892 opened his own carpentry shop in a small town Stevning, located in the southern part of Denmark near the border of Germany c. Later he opened a clothing store and household items at the opposite end of his house, and the family lived in the central part of the house. 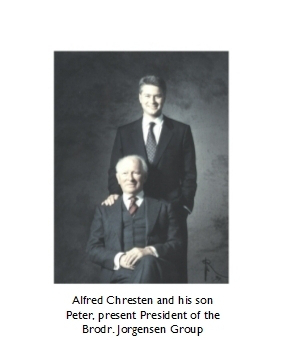 His sons - Peter (born in 1889) and Jacob (born in 1892) - have continued the family tradition, but in a different line of business. November 1, 1913, they founded, Brodr. Jorgensen and outdoor musical instruments shop in Sonderborg, also in South Denmark, but a bigger city. Next to the shop they opened a workshop where repaired and tuned musical instruments. Since the family lived in the border areas with neighboring Germany, they are significantly affected during the First World War. Strong family ties, hard work, serious and humble approach to life, helped them survive. After World War I, in 1918, Peter Jorgensen led the business alone. Despite serious problems, severe inflation, currency devaluation and a big trade competition from the German border, he succeeded in his business. Soon the business was based on six retail stores and wholesale network that has engulfed several towns in Denmark. In 1942, Alfred Chrestus Jorgensen, son of Peter Jorgensen, aged only 21, he moved to the Danish capital of Copenhagen, where he created a second parent company. Official permission for the establishment of the parent company in Copenhagen Copenhagen mayor was issued September 10, 1942. Resolution includes areas such as manufacturing, wholesale and retail trade. Alfred Chrestus Jorgensen, developed business, creating one of the largest of its kind in Europe, with some retail outlets in Scandinavia, modern piano factory in Denmark, and several wholesale companies in various European countries. In addition to sales of own products Brodr. Jorgensen sold virtually all types of musical instruments that they imported from different parts of the world. In 1968, Brodr. Jorgensen had a unique honor for the right to use the name "By appointment of the Royal Danish Court" in all its business operations. Few Danish companies awarded this honor. It is awarded to companies that contributed to the development of the Danish business environment, and act as an ambassador, exporting Danish products. Naturally, this implies that the companies would be run and they correspond to high moral standards. His Majesty King Frederick IX of Denmark kindly provided us Brodr. Jorgensen, Sondeborg, permission to use the name of the Royal Danish By appointment Court that witnessed this in accordance with the order of the High Command. Amalienborg, March 12, 1968. TRAMPE Lord Chamberlain. Between 1970 and 1980, the first year with the introduction of electronic tools on the market, there have been dramatic changes in the music business environment. Realizing that business Brodr. Jorgensen will continue to change radically, in 1981 the management decided to sell part of business, leaving us only the production and international sales piano. In the late 1980's, Peter Jorgensen - the third generation of the company, has introduced new activities and production lines. They include sales, marketing and delivery of high-quality consumer goods Quick Start (VBTP), it was mostly detergents, cosmetics, perfumes and products for body care. 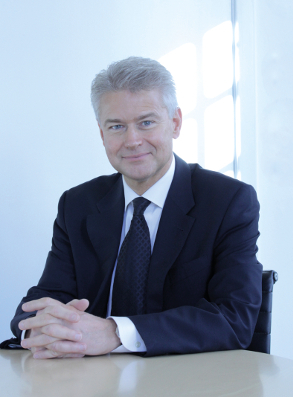 In 1988 he decided to expand the business and enter new markets, where Poland soon became an important business partner. Later, with the emergence of new democracies in Central and Eastern Europe, the opportunity to expand the business to other countries, such as Hungary, the Czech Republic, Slovakia, Yugoslavia, Romania, Bulgaria, Russia, Belarus, Ukraine, Moldova and the Baltic republics. Due to subsidiaries in different countries, as well as close cooperation with local distributors, the company has succeeded in creating his image, marketing and distribution of its products. For more information, please click MARKETS where you can read about the work that we do now. As already mentioned, Peter Jorgensen - the first generation - described the situation in the Danish-German border region during and immediately after the First World War. It was characterized by high inflation and shortages of goods. In subsequent years, developed what we experienced with the later development of the new democracies in Central and Eastern Europe. Period from 1988 to the mid-1990s also marked by high inflation, lack of money and goods. Very interesting to watch the historical repetitions. Today, we look with pride at our success, which made a successful appearance and thanks to the company's ideology, which is based on the successful and progressive collaboration with suppliers and customers, and active long-term mutual benefits. Now, after nearly 100 years of existence of our company, we want to thank all our partners who have always trusted us. This is the basis for the establishment and maintenance of cooperation at the international, often fragile and difficult market. With admiration and pride, we can assure you that for 100 years existence of the company and 3 generations, we have succeeded in creating a fundamental ideology and ethics of the company. Due to this, our employees and family standing behind us, still awarded trust and loyalty of our suppliers and customers. In the future, our main goal will be to maintain and develop our business. As well as further expansion within the core ideology and mission of the company, in close cooperation with our many international partners.